For the first time since the United States suspended direct mail shipping to Cuba in 1963, both representatives from the U.S. and Cuba are now discussing resuming direct mail to and from Cuba. Up to now mail to and from Cuba must go through third countries. All of this is a result of non-communications between Cuba and the United States, and the U.S. embargo against Cuba. 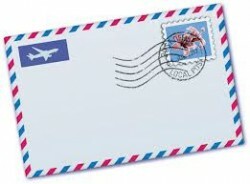 Will direct mail resume between the United States and Cuba? This remains a big unknown, but in my view I hope that direct mail service will resume between the two countries. I am well aware of the Cuban government holding U.S. citizen Alan Gross hostage in exchange for their four Cuban spies. Because of this, I do not think that official diplomatic relations between the United States and Cuba should be reestablished. There should be no reward for bad behavior. However, I see no problem with reestablishing direct mail links between the United States and Cuba. We have to remember that many Cuban Americans have families in Cuba, and they want to communicate more freely and more frequently with those loved ones they left behind. There is no question that the Cuban government practices censorship on any and all mail. However, it is better than having no word from anyone in Cuba at all. I should explain that under the current state of affairs, all mail going to Cuba can take up to a month to a month and a half to reach those in Cuba, and it under the same circumstances it can take almost as long for a letter or package to get to the United States from Cuba. Since Cuba is only 97 miles away, this is ludicrous. Mail to and from Cuba should take only a matter of days and not weeks. The U.S. embargo has made the whole process unworkable. Now whether direct mail will happen remains to be seen. There are a number of Republicans who still want to keep this part of the embargo in place. As much as I do not like the Cuban government, this part makes no sense—it makes no sense for those Cuban Americans who want to communicate with their families, and it makes no sense in preventing Americans from communicating with friends in Cuba. If anything, allowing more mail between the two countries will do more to expose Cubans to the world outside their borders, and certainly to what is happening in the United States. I can only hope that direct mail between the United States and Cuba will become a reality again.